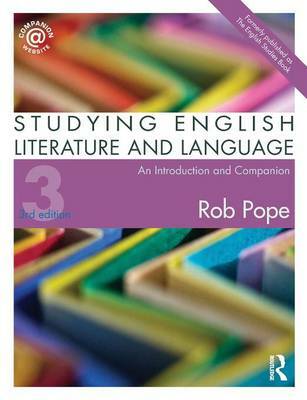 Studying English Literature and Language is unique in offering both an introduction and a companion for students taking English Literature and Language degrees. Combining the functions of study guide, critical dictionary and text anthology, this is a freshly recast version of the highly acclaimed The English Studies Book. a comprehensive, regularly updated companion website supplying further information and activities, sample analyses and a wealth of stimulating and reliable links to further online resources. Studying English Literature and Language is a wide-ranging and invaluable reference for anyone interested in the study of English language, literature and culture.